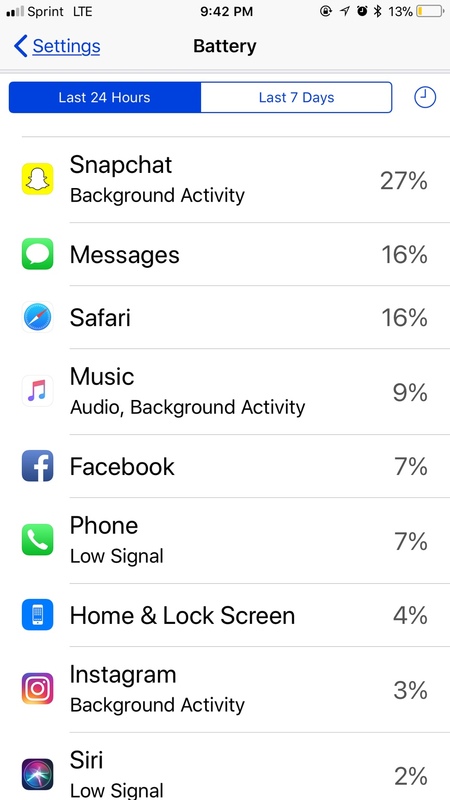 Battery life a year and one month in. Battery life is still holding up very well after a year of continuous use. Below are a few screen shots of my usage for yesterday. 5 hours of usage is good! Yeah! I guess it just varies day to day. It’s hard to get the same results every day. I’m happy if I get 5-6 hours of usage since I’m a heavy user. The recent software upgrades improved my battery life where I'm convinced the watch upgrade is past of that. The Apple Watch itself uses 6% less now. Overall, I have to say I'm at 54 weeks of use and very pleased with the phone. Does anyone know an app I can you in downloading movies?